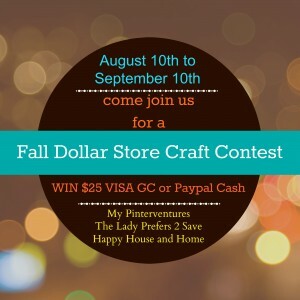 Calling all crafters! 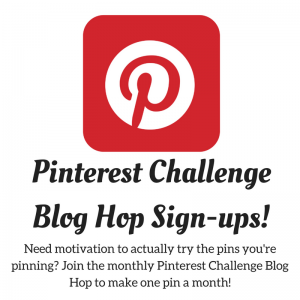 Are you ready for a challenge?! 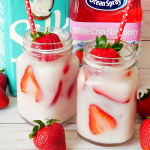 If you’re a savvy shopper and can whip up something fantastic on a budget, this contest is for you! 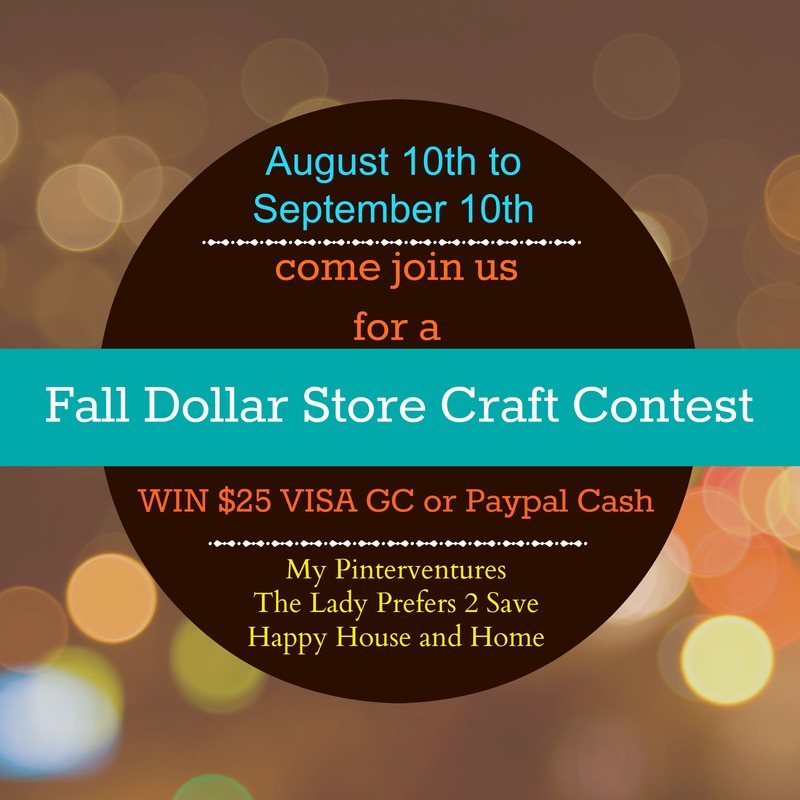 We’re having a Fall Dollar Store Craft Contest. 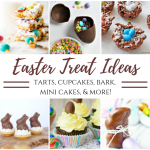 We’re looking for creative ways to use dollar store items to create fabulous crafts, decor, and food. 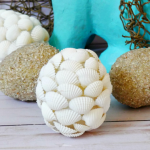 Enter you craft tutorial to the contest from August 10th through September 10th. The winner will receive a $25 Visa Gift Card or Paypal cash. NO PURCHASE NECESSARY TO ENTER OR WIN. 1. Promotion Description: The $25 VISA Gift Card Contest begins on 08/10/2014 at 05:00 PM (Pacific Time (US & Canada)) and ends on 09/10/2014 at 09:00 PM (Pacific Time (US & Canada)) (the “Promotion Period”). By participating in the Contest, each entrant unconditionally accepts and agrees to comply with and abide by these Official Rules and the decisions of My Pinterventures, Happy House and Home, The Lady Prefers 2 Save, Or Whatever You Do (“Sponsor”), which shall be final and binding in all respects. Sponsor is responsible for the collection, submission or processing of Entries and the overall administration of the giveaway. Entrants should look solely to Sponsor with any questions, comments or problems related to the Sweepstakes. 2. Eligibility: Open to legal residents of USA & Canada who are 18 years or older to enter or older. Void where prohibited or restricted by law. Sponsor and their respective parents, subsidiaries, affiliates, distributors, retailers, sales representatives, advertising and promotion agencies and each of their respective officers, directors and employees (collectively, the “Promotion Entities”), and members of their immediate families and/or persons living in the same household as such persons, are ineligible to enter the Sweepstakes or win a prize. 3. Winner Selection: The winner of the Sweepstakes will be selected by voting from among all eligible Entries received throughout the Promotion Period. Odds of winning will vary depending on the number of eligible Entries received and voting. 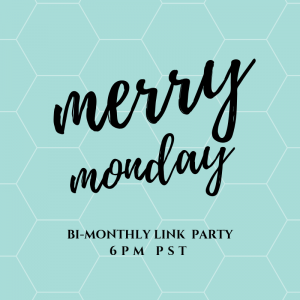 Winner will be notified by email at the email address provided in the Entry Information on or about September 14th, 2014 on the Merry Monday Link Party. Potential winner must accept a prize by email as directed by Sponsor within 48 hours of notification. Any winner notification not responded to or returned as undeliverable may result in prize forfeiture. The potential prize winner may be required to sign and return an affidavit of eligibility and release of liability, and a Publicity Release (collectively “the Prize Claim Documents”). No substitution or transfer of a prize is permitted except by Sponsor. 4. Prizes: 1 (#) winner will receive [(1) $25 VISA Gift Card or $25 Paypal cash] (approximate retail value or “ARV”: $25) Only one prize per person and per household will be awarded. Gift cards and gift certificates are subject to the terms and conditions of the issuer. Prizes cannot be transferred, redeemed for cash or substituted by winner. Sponsor reserves the right in its sole and absolute discretion to award a substitute prize of equal or greater value if a prize described in these Official Rules is unavailable or cannot be awarded, in whole or in part, for any reason. The ARV of the prize represents Sponsor’s good faith determination. That determination is final and binding and cannot be appealed. If the actual value of the prize turns out to be less than the stated ARV, the difference will not be awarded in cash. Sponsor makes no representation or warranty concerning the appearance, safety or performance of any prize awarded. Restrictions, conditions, and limitations may apply. Sponsor will not replace any lost or stolen prize items. Prize will only be awarded and/or delivered to addresses within USA & Canada. All federal, state and/or local taxes, fees, and surcharges are the sole responsibility of the prize winner. Failure to comply with the Official Rules will result in forfeiture of the prize. 5. 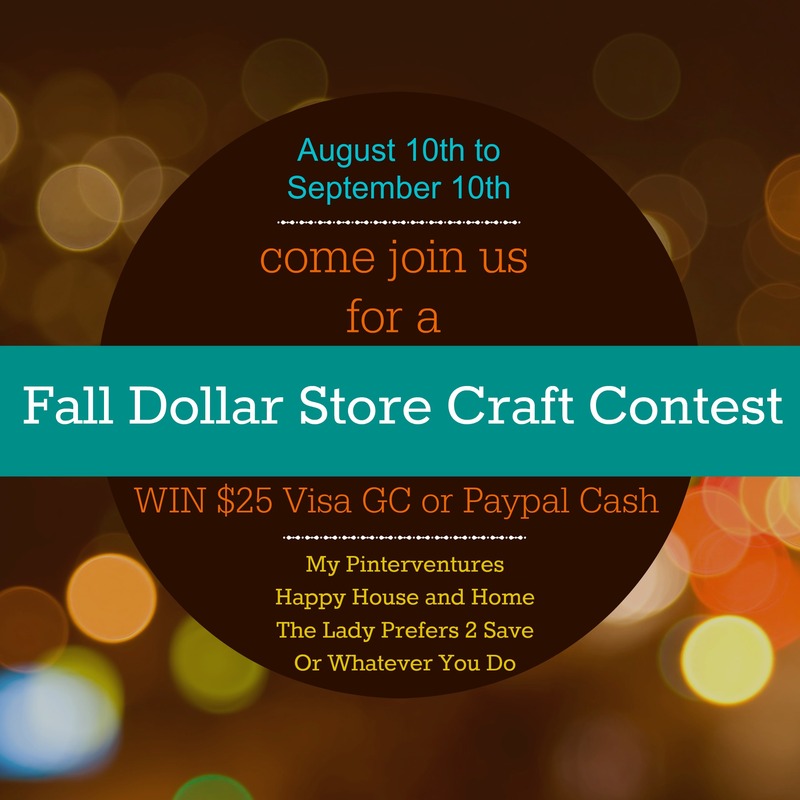 Online Entry: Enter the Contest during the Promotion Period online by linking up to the Dollar Store Fall Craft link-up and perform the tasks provided. The link-up can be found on the following website at http://wp.me/p3UxXD-1vp. Automated or robotic link-ups submitted by individuals or organizations will be disqualified. Internet entry must be made by the entrant. Any attempt by an entrant to obtain more than the stated number of link-ups by using multiple/different email addresses, identities, registrations, logins or any other methods, including, but not limited to, commercial contest subscription notification and/or entering services, will void that entrant’s Entries and that entrant may be disqualified. Final eligibility for the award of any prize is subject to eligibility verification as set forth below. All Entries must be posted by the end of the Promotion Period in order to participate. Sponsor’s database clock will be the official time keeper for this Sweepstakes. 6. Privacy: All entrants acknowledge that if they are chosen as a winner, they must provide a mailing address for the prize or Paypal address. This information will not be shared with third parties. 7. Limitation of Liability: Sponsor is not responsible for any incorrect or inaccurate information, whether caused by website users or by any of the equipment or programming associated with or utilized in the Contest or by any technical or human error, which may occur in the processing of submissions in the Contest. Sponsor assumes no responsibility for any misdirected or lost mail, or any error, omission, interruption, deletion, defect, delay of operation or transmission, communications line failure, theft or destruction or unauthorized access to, or alteration of, Entries. Sponsor is not responsible for any problems or technical malfunction of any telephone network or lines, computer online systems, servers or providers, computer equipment, software, failure of email or players on account of technical problems or traffic congestion on the Internet or at any website or combination thereof, including injury or damage to entrant’s or any other person’s computer related to or resulting from participating downloading materials in the Contest. If, for any reason, the Contest is not capable of running as planned, including infection by computer virus bugs, tampering, unauthorized intervention, fraud, technical failures, or any other causes beyond the control of Sponsor which corrupt or affect the administration, security, fairness, integrity or proper conduct of the Contest, then Sponsor reserves the right in its sole discretion to cancel, terminate, modify or suspend the Contest. In such event, Sponsor may, in its sole discretion, perform the random drawing from among all eligible Entries received prior to or after such cancellation, suspension, or modification. Hi. I wanted to link up a few items I just finished but don’t see the link. Is it closed? Sorry if I am missing it. Thanks! The dollar stores have come such a long way and there really are some great things in there to create some awesome crafts. I hope you enter 🙂 We’d love to see what you make. This is a great idea! 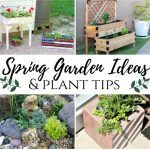 I’ve seen some really great craft and DIY ideas from dollar store items. Thanks for sharing with Hump Day Happenings! Oh, this is such a fantastic idea! I can’t wait to see what people come up with. I may have to put something together, too! Visiting from Turn It Up Tuesday! Hi Sarah. Thanks so much for asking. I’ll work on a button with a code and place in my sidebar. You can also copy/paste it + link back. I appreciate your willingness to help promote this contest. Thanks Natasha for pinning 🙂 I’ll definitely be at the party again this weekend. 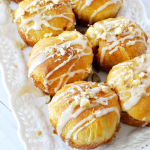 Thanks for sharing this at the Say G’day Saturday Linky Party. 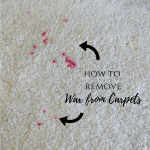 I just shared this on Pinterest. I just saw this. 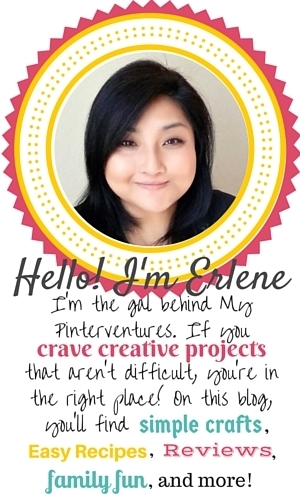 Do you have a button I can grab to put on my blog’s sidebar?